Oswego Crowd, (white hair) ^ Mrs. Twining? 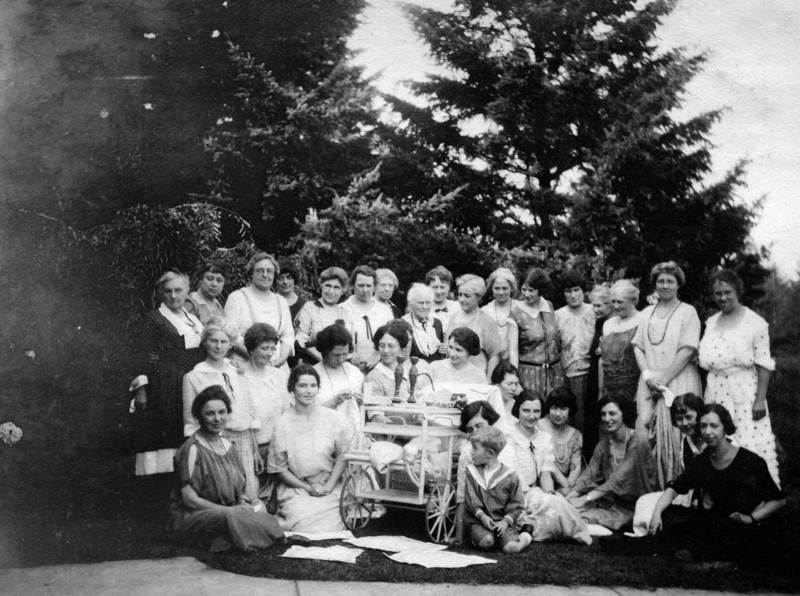 Description Group of women outdoors with tea cart. Transcription Oswego Crowd, (white hair) ^ Mrs. Twining?